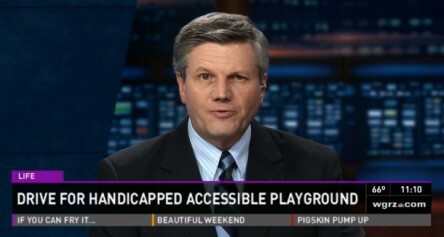 On April 6th we were fortunate to be featured on Channel 7’s WKBW AM Buffalo. 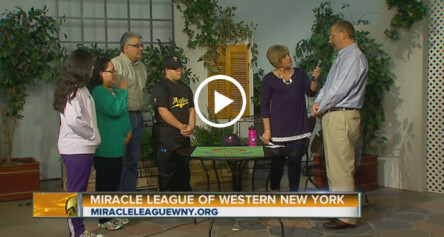 Nick Payan and his family represented the Miracle League and did a great job on T V.
Simply click the image or click here to view it on WKBW’s website. 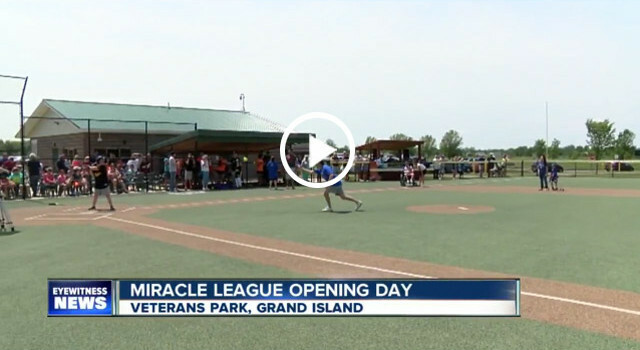 2 On Your Side’s Jonah Javad shows us how the Grand Island’s Miracle league has a big impact on one individual. 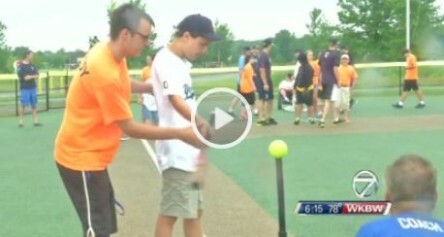 You can see the video highlighting Michael Dinsmore at WGRZ’s website. Simply click the image or click here to view it. GRAND ISLAND, N.Y.- A community baseball league is giving disabled children the opportunity to step up to the plate. 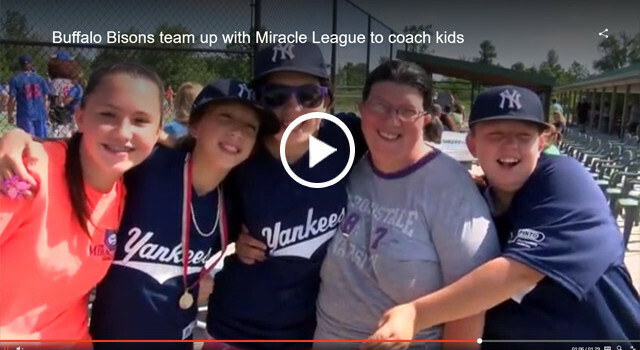 2 On Your Side’s Jonah Javad tell us how this little league has a big impact. 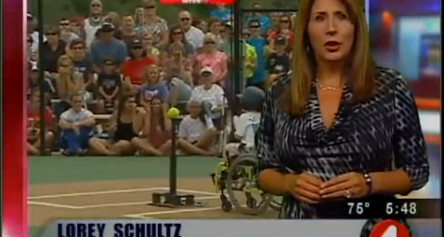 You can see the video highlighting Dawn Gruszka at WGRZ’s website. Simply click the image or click here to view it. 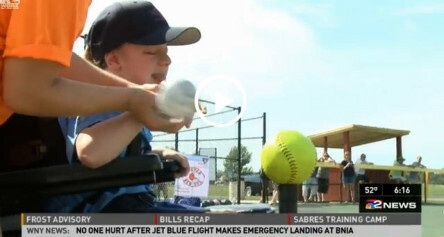 The Buffalo Sabres and Team Alumni have partnered up with the Miracle League to create a place to play on Grand Island for kids with special needs. A special baseball game was played to celebrate the new complex.